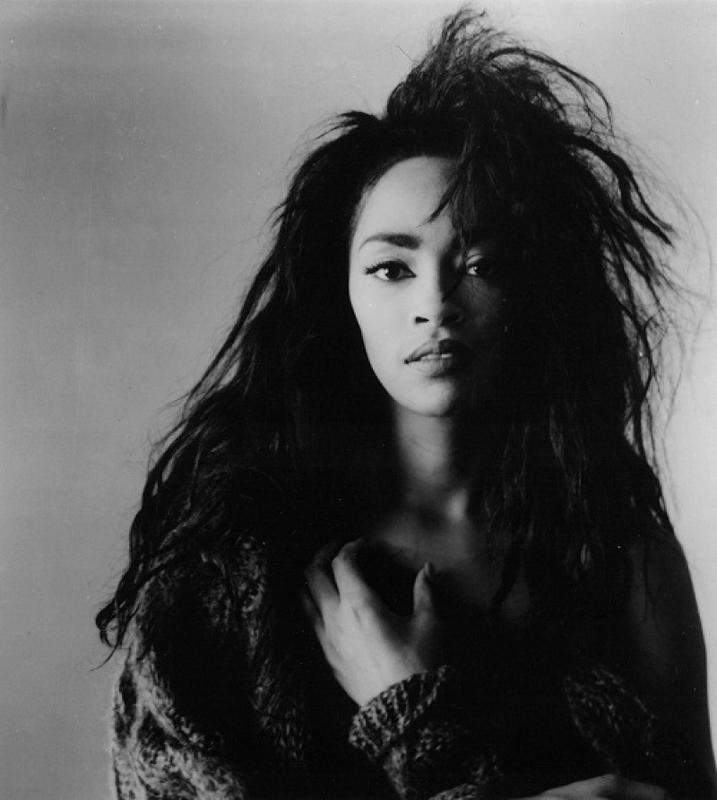 Jody Watley is an American singer, songwriter, record producer, and one of the defining iconic artists of the 1980s whose music crosses genres from Pop, R&B, Jazz, Dance and Electronic Soul. In 1987, she won the Grammy Award for "Best New Artist." Along with Janet Jackson and Madonna, she ranks as one of MTV Video Music Awards most nominated female artists ever, with six nominations for her ‘Real Love’ video. To date, she is best known for her role in being a pioneer setting trends and standards for dance, style, music and video. Early in her solo career she was also noted for her commercial dance pop stylings with a funky edge. 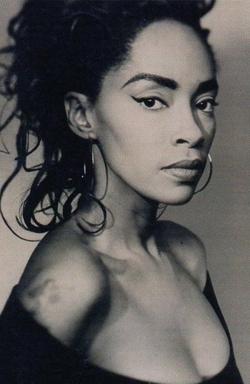 Jody Watley is also noted as being the first Pop/R&B singer to include a rapper on the specialized verse/bridge with their collaboration on "Friends" featuring Eric B. & Rakim, which would become a popular formula in commercial Pop/R&B/Hip-Hop. In 2008, she was the recipient of a Lifetime Achievement Award from Billboard magazine, and was also prominently featured in the historic black issue of Vogue Italia in 2008. Her early music influences are Diana Ross, Marvin Gaye, Stevie Wonder, Michael Jackson, The Jackson 5, The Carpenters, Roberta Flack, Prince, Grace Jones and various jazz artists including Nancy Wilson. Watley was born in Chicago, Illinois. Influenced by Diana Ross, Watley made her first stage appearance at 8 years old with family friend and godfather Jackie Wilson. She got her start on the TV dance show Soul Train at the age of 14. Documented by Ebony magazine in 1977 as a part of "The New Generation," Jody Watley was one of the most popular on the show and recognized as a trendsetter for her style and dance moves As popular stand-outs on the television show, Watley and fellow Soul Train dancer Jeffrey Daniel were selected to join Gary Mumford and become original members of the R&B group Shalamar by show creator Don Cornelius. (Mumford was shortly replaced by Gerald Brown, and Brown himself was soon replaced by Howard Hewett as lead vocalist). The lineup of Hewett, Watley, and Daniel would be the most successful. Watley remained with the group from 1977 to 1983. The trio released several albums and scored several hits including the US Top 20 "Dead Giveaway", and the R&B hits "The Second Time Around", "For The Lover In You", and "A Night To Remember". Watley, however, found it challenging to get songs she had written onto Shalamar albums; having limited success getting songs she wrote recorded. Due to conflicts within the group and disagreements and lack of payment from Solar Records, she eventually left the group in 1983. Post-Shalamar, Watley moved to England, and while there she recorded a guest vocal with British Jamaican roots reggae group Musical Youth for their album Different Style. She also recorded demos with Gary Langan, Anne Dudley and J.J Jeczalik (who later became Art of Noise). A brief stint with Phonogram Records where two singles were released (in the UK, Europe & Australia – though crucially not America) under the moniker "Jody" (no second name), "Where the Boys Are" and "Girls Night Out." Also during this era, and after departing the group, she took part in Bob Geldof's historic Band Aid recording of "Do They Know It's Christmas", which included Bono, Boy George, Sting, George Michael and other prominent UK artists. After two and a half years in England, Watley returned to America and secured a recording deal with MCA Records, eager to establish her own identity. 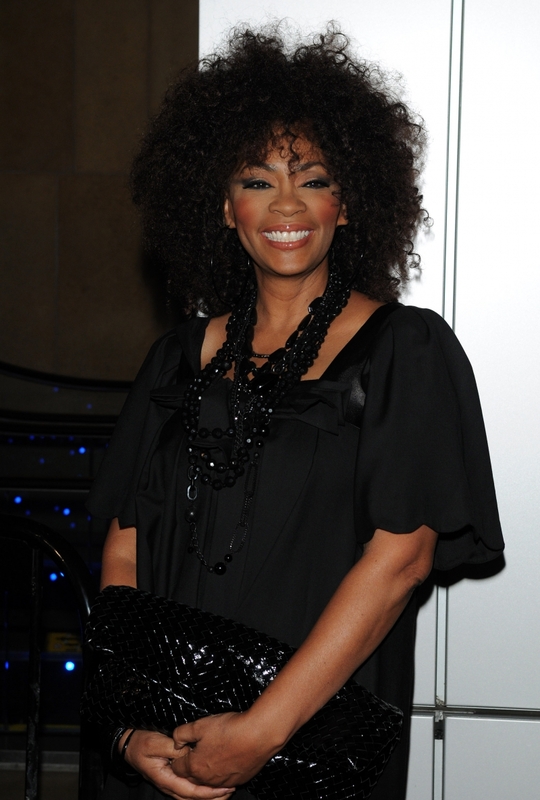 Her album Jody Watley was released in March 1987, and she co-wrote six of the album's nine songs. In an interview with Rolling Stone Magazine, Watley would say that she wanted to showcase her voice against "really funky hard dance tracks." The album's lead single, "Looking for a New Love", became a smash hit with an instant catch-phrase "hasta la vista, baby", and was certified gold. The album peaked at #10 on the US Billboard Top 200 Album Chart, number-one on the Billboard Hot R&B Albums Chart, and sold two million copies in the US, and a total of four million copies worldwide. It produced five uptempo dance and R&B singles that charted on the US Hot 100, with three peaking in the top ten: "Looking for a New Love" (US #2, #1 Dance, #1 R&B, UK #13); "Still a Thrill" (US #56, #3 R&B #1 Dance); "Don't You Want Me" (US #6 #1 Dance #3 R&B); "Some Kind of Lover" (US #10 #1 Dance #3 R&B); and "Most of All" (US #60, #11 R&B) Also included on her debut album Jody Watley was the duet with George Michael, "Learn To Say No", produced by Bernard Edwards. At the 30th Annual Grammy Awards in 1988, Watley won the award for Best New Artist, and was nominated for Best Female R&B Vocal Performance. That same year, she also received nominations for four MTV Video Music Awards and three Soul Train Awards. Shortly after winning the Grammy Award, Watley would be featured in Harper's Bazaar Magazine photographed by Francesco Scavullo. In the spring of 1989, Watley released her second album, Larger than Life, co-writing eleven of the album’s twelve songs. The album sold over four million copies worldwide, reaching #16 on the Billboard Top 200 Album Chart, and produced four singles: "Real Love" (US #2, #1 R&B, #2 Dance, UK #31), a US gold single and her first top 40 UK single since "Looking for a New Love"; "Friends" featuring Eric B. & Rakim, (US #9, #3 R&B, #7 Dance, UK #21); and "Everything" (US #4, #3 R&B), her first ballad release. The album's fourth and final single, "Precious Love", was a minor hit, peaking at #87 in the US. "Friends" is notable for being the first multi-format hit single to include the formula of a Pop/R&B singer featuring a guest rapper with the custom full 16-bar verses and bridge concept, and distinguishable from the rap "Intro" by Melle Mel on Chaka Khan's notable cover Prince single "I Feel For You". The successful "Friends" formula would become a mainstay formula in commercial pop music and was added as a category at The Grammy's under Grammy Award for Best Rap/Sung Collaboration in 2002. During the summer of 1989, Watley’s "Real Love" video, directed by David Fincher, was nominated for seven MTV Video Music Awards including Breakthrough Video, Best Art Direction, Best Dance Video, and Best Female Video at the 1989 award show. That record was held until Michael Jackson and Janet Jackson's video "Scream" received 11 VMA nominations in 1995. The next year, she was nominated for two Soul Train Awards, an NAACP Image Award for Outstanding Female Artist, and a Narm Award for Best Selling R&B Female Album. While riding high on her Larger Than Life World Tour, a remix album, You Wanna Dance with Me?, was released in October 1989 and achieved gold status in America. 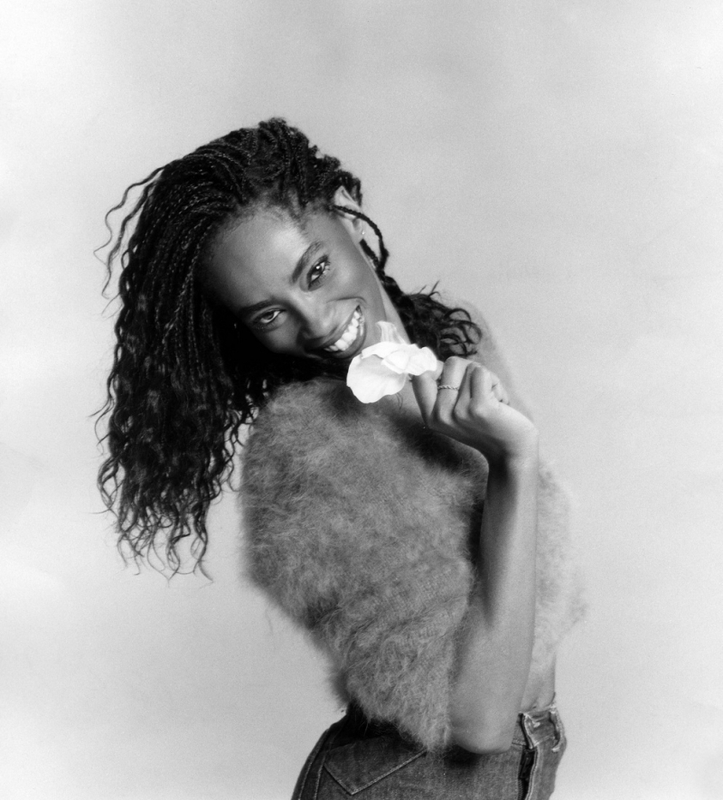 1989 also saw Watley featured in Harper’s Bazaar "Ten Most Beautiful Women" issue, photographed by Matthew Rolston. That same year Jody Watley appeared on the cover of the Japanese high fashion magazine SPUR for its debut issue. In 1990, Watley would continue to be involved with fashion. On her second album, she was photographed by fashion photographer Steven Meisel, where she continued to make her own style statements. In the videos for "Real Love", Watley would introduce a higher fashion aesthetic blending vintage and custom designs. "Friends" mixed couture by Jean-Paul Gaultier, with an urban sensibility. She released a million-selling home video, Dance To Fitness. She was featured in the first celebrity ad campaign for Gap LA Eyeworks and in magazines such as Harper’s Bazaar, Vogue, Vogue Italia, Rolling Stone, Essence, and Vanity Fair. She was named one of the 50 Most Beautiful People of 1990 in People Magazine. In the same year, she contributed a jazzy rendition of "After You, Who?" the compilation album "Red Hot + Blue", an AIDS-awareness charity recording of songs by Cole Porter produced by the Red Hot Organization. Watley was photographed by famous photographer, Victor Skrebneski, for the popular Saks Fifth Avenue Defining Style Fall Catalog, where she appeared in a 15 page high fashion layout in 1996. In 2006, Watley would walk the runway with designer Kevan Hall for LA Fashion Week. She is also noted as an influence on contemporary designer Malan Breton of Project Runway. Watley would state that she was eager to change her musical range and image, and no longer wanted to be seen as just a dance diva. She was inspired toward a more introspective approach for ‘Affairs Of The Heart", wanting to address social concerns. In December 1991, Watley released her third album, Affairs of the Heart, described by Justin Kantor in Guide to Soul as an overlooked standout of her 1980s and 1990s output. The album peaked at #124 on the US chart, and #21 on the R&B/Hip-Hop Albums Chart. The lead single, "I Want You," failed to crack the top 40, peaking at #61 on the Billboard Hot 100 chart, though peaking at #5 on the US R&B singles chart, and #17 Dance. The second single, "I'm The One You Need", reached #3 Dance and peaked at #19 on the US Hot 100. The final single was the ballad "It All Begins With You", her first single to miss the US Hot 100. Watley earned an invitation by President George H. W. Bush in 1992 to perform this song at the White House. Watley used the opportunity to encourage the government to provide more support and funding for public schools. Watley recorded "It's All There" for the movie "Switch" with legendary composer Henry Mancini. Apparently undeterred by disappointing sales, Watley would say she was more concerned with broadening her creative boundaries than in just having huge record sales. In November 1993, MCA released her fourth solo album, the introspective relationship themed Intimacy. Noting that the New Jack Swing was all the rage in R&B at the time, Amy Linden wrote in People Magazine that Intimacy continued the process of Watley’s move toward more refreshingly adult themes and that Watley was deserving of serious attention. Watley herself acknowledged that the songs she wrote were always personal statements. Intimacy with its songs of "romance and angst" reached #164 on the US Top 200 Album Chart and #38 on the Top R&B/Hip-Hop Albums Chart. The first single was "Your Love Keeps Working On Me", not a Hot 100 hit, peaked at #2 Dance and #26 R&B/Hip-Hop. 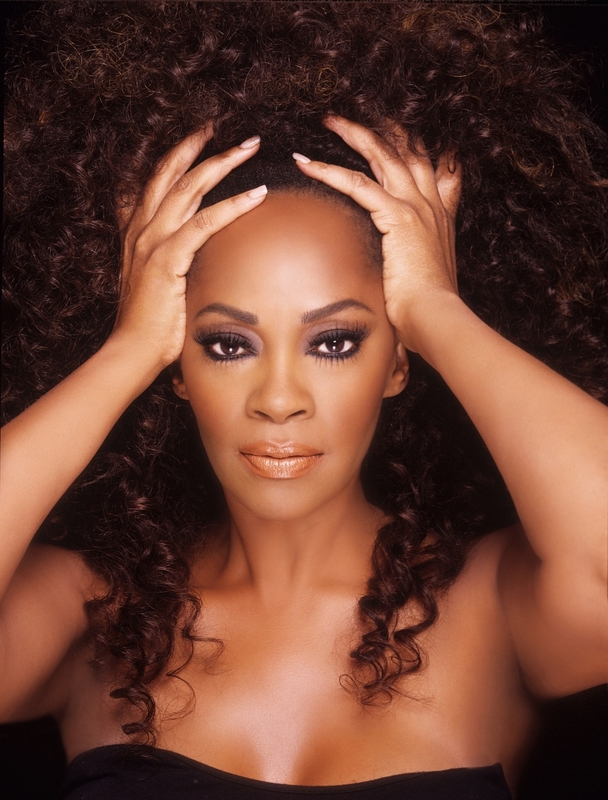 Watley added video director to her resume for the next single, the spoken word tune "When a Man Loves a Woman". "When A Man Loves A Woman" reached #11 Hot R&B/Hip-Hop and US #8 Dance. Although not a pop hit in the US or UK as well, the BBG Remix of this song topped the Dance charts in the UK. The album also contained the song "Ecstasy", produced by David Morales, which became an underground hit and later appeared on her Greatest Hits collection. Like its predecessor, "Intimacy" would not be a strong seller, but would continue to give Watley better critical success. In 1996, Watley played Rizzo in the musical Grease on Broadway Theater in New York City, the first African American woman to play the role. Watley was photographed by famous photographer, Victor Skrebneski, for the popular Saks Fifth Avenue Defining Style Fall Catalog, where she appeared in a 15 page high fashion layout. That fall, Watley appeared on the platinum-selling single "This Is For The Lover In You" by Babyface. The single also featured LL Cool J and Watley’s former Shalamar bandmates Howard Hewett and Jeffrey Daniel, essentially reforming the group for the single. It was a remake of Shalamar’s R&B hit "For The Lover In You". As the year wound to a close, Watley took a hiatus from her own Avitone label, and signed with Big Beat/Atlantic Records. The same year MCA Records released a Greatest Hits album with Watley’s recordings for MCA. After spending most of 1997 in the recording studio crafting her sixth studio album, Flower, Watley was back in early 1998 with its lead singles "Off The Hook" and "If I'm Not In Love." "Off The Hook" peaked at #23 on the Billboard R&B Singles Chart and #73 Billboard Hot 100 but fared much better on Billboard’s Hot Dance Music/Club Play chart. Propelled by remixes from Masters At Work and Soul Solution(Dance act), the track reached #1 on the dance chart, making it her first #1 Hot Dance Music/Club Play hit in nine years. Later the same year, a single of "If I'm Not In Love" was released, with promo mixes by Sal Dano (credited as BK Dano), Lenny Bertoldo, and 95 North (Richard Payton and Doug Smith) and that song reached #2 on the Hot Dance Music/Club Play chart. Big Beat Records was absorbed into its parent label, Atlantic Records, which then shelved the album from a U.S. release, and left Watley in legal limbo for two years. Flower was, however, released in Canada, Great Britain, and Japan. The critically acclaimed release was championed by many UK magazines, including Blues and Soul and Echoes among others. A previously unreleased song featuring Watley with George Duke titled "Baby Love" was included as a bonus track on The Best of George Duke The Electra Years in 1997. " It was during the time she was unable to record, that Watley says she was inspired by 4Hero whose 1998 album Two Pages exposed her to the underground electronic dance music out side of the mainstream; she credits this inspiration for not retiring after the disappointment of how Flower was handled. The Saturday Night Experience Vol. 1, as Watley told music historian David Nathan. In November 1999, Jody reactivated her independent label, Avitone, and released her seventh studio album via Universal Japan The Saturday Night Experience featuring Jody Watley Vol. 1, a collection of organic club music tracks, inspired by her newfound love of electronic music. It was released exclusively in Japan along with a single, "Another Chapter," with remixes by DJ Soma. Also included on the project was the drum and bass title song "Saturday Night Experience." As Watley told music historian David Nathan, "The Saturday Night Experience" was intended to be a concept album, aimed at people looking for something different. The Saturday Night Experience , as told to music historian David Nathan, Watley stated she had no desire to release the project in the U.S. The title song of the same name was licensed to Giant Step and included on their compilation "Giant Sessions, Volume 1 Mixed by Ron Trent". The following year, MCA released 20th Century Masters: The Millennium Collection: The Best of Jody Watley. In 2001, Jody released her eighth studio album, Midnight Lounge in Europe and Japan. In an interview with Billboard Magazine Watley would say, "An artist should always explore new frontiers." "Midnight Lounge" was a collection of tracks that combined a blend of soul, jazz, R&B, and electronic club music. After achieving moderate success in its original release, Watley arranged for it to be released in the U.S. through her Avitone imprint in a short-term license deal with Shanachie Records on March 11, 2003. Midnight Lounge was Watley’s first studio album released in the U.S. in eight years, reaching Top 20 status on Billboard Top Electronic Albums chart. Roy Ayers appeared on the Masters At Work produced, "I Love to Love", Junior Vasquez and several other producers contributed remixes to the single release of "Whenever", bringing the track to #19 on the Billboard Hot Dance/Club Play Chart. One of the album’s other singles, "Photographs", became notable in the underground club scene with mixes by Phil Asher and East West Connection. The music and growth of Watley would achieve critical acclaim for the project and Watley, noting she had successfully updated her sound over the years and evolved successfully into a soulful chantese. In 2005, Watley made history on the Billboard Hot Dance Music/Club Play Chart when she re-released her 1987 hit "Looking For a New Love." The 2005 remix reached #1 on the Billboard Dance/Club Play chart, making her the first artist ever to take the same song to #1 in two different decades. 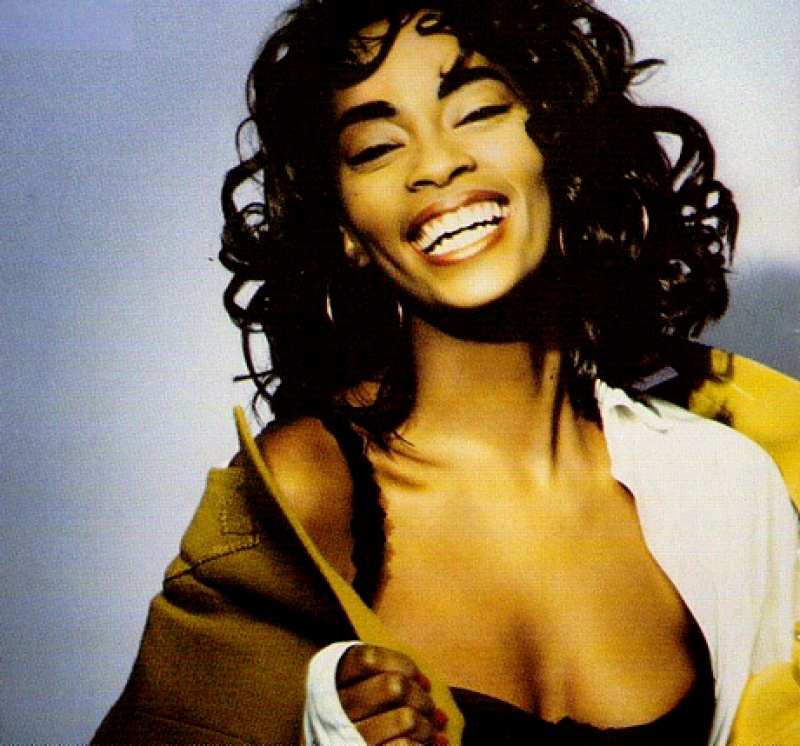 Jody Watley now has the distinction of being among the few artists who have been to #1 on Billboard’s Hot Dance Music/Club Play chart in all of the past three decades (the 1980s, 1990s, and 2000s). The same year, Watley was invited to participate in the Force of Nature Relief Concert to aid the victims of the 2004 Indian Ocean earthquake. During the trip Watley and others (including The Black Eyed Peas, Lauryn Hill, and Jackie Chan) were invited to the Royal Palace to meet The King and Queen of Malaysia for a special Tea reception in showing their gratitude for all involved with Force of Nature. The Makeover would bring Watley together with 4Hero and King Britt among others in a chilled electronic out musical style. Understanding the shifting paradigms in the music industry and the changing business models, Watley’s Avitone Recordings arranged for The Makeover to be released exclusively to the Virgin Megastore chain in its first ever CD exclusive. It debuted at #1 for the retailer, and was accompanied by a Virgin mini-tour where she performed for customers and signed copies of the CD. The first single was a cover of Madonna's "Borderline". The single reached #2 on the Hot Dance Music/Club Play chart in January 2007. The second single, a cover of Chic's "I Want Your Love," reached #1 on the Hot Dance Music/Club Play in June 2007. In 2007, Watley was listed as #5 in the Year End Billboard Dance Play Artists. Her single "I Want Your Love" was #15 and "Borderline" #19 according to Billboard Year End Chart Review for 2007. In January 2008, "I Want Your Love" topped the U.K. Dance Charts in January, giving her first U.K. mainstream dance hit in two decades. In 2008, she launched an online music store, while scoring another Top Five Billboard Dance Single, "A Beautiful Life," bringing the total of Top Five Singles for The Makeover to three. In May 2008, continuing over a decade of support for various charities dedicated to raising funds and awareness for HIV and AIDS, Watley performed at Life Ball, Europe's largest gala for the cause held in Vienna, Austria. In May 2009, Watley’s Avitone signed a distribution deal with London based Alternative Distribution Alliance Global. In October 2009, an "International" version of "The Makeover' was released in the U.K. to positive reviews. Pete Lewis from Blues & Soul noted her evolution as an artist and performer as being showcased on the album. Further stating Watley being hailed by some, as exemplifying the 21st century recording artist continuing to exercise her own creative path. Distinguishable from the original release, The Makeover "International Edition" featured new cover art and track listing. New inclusions featured the bossa-soul rendering of Bob Marley’s "Waiting in Vain", a sparsely arranged version of Carole King's 1960s ballad "Will You Still Love Me Tomorrow", Erasure's anthem "A Little Respect", and a reworking of the Diana Ross dance classic "Love Hangover". Replacing the downtempo ambient version found on the 2006 "The Makeover", Watley recorded the new arrangement originally suggested by songwriter Pam Sawyer, for Ross. Reg Dancy from Basic Soul would write that Watley was able to handpick songs and make them seem as if they had been written for her. Added to the line-up of producers which included King Britt, Mark de-Clive Lowe, 4Hero, DJ Spinna, and longtime co-collaborator Rodney Lee, are remixer/producers Marco Zappala from Brazil and Craig C. from the UK. In February 2010 Jody Watley joined Jamie Foxx onstage at a post Grammy event for a duet performance of her signature hit "Looking For a New Love" and also appeared in the VH1 documentary "Soul Train: The Hippest Trip In America". Jody Watley continued to broaden her creative horizons with featured collaborations with upcoming electro pop duo French Horn Rebellion on singles titled "Cold Enough" and "Dancing Out" also featuring Young Empires in December 2012 and June 2013. Watley added high profile summer concerts including Grammy All-Stars in Chengdu, China at Chengdu Sports Centre and Essence Music Festival in July 2013. 1988 - Grammy Awards - Best New Artist for "Looking for a New Love"